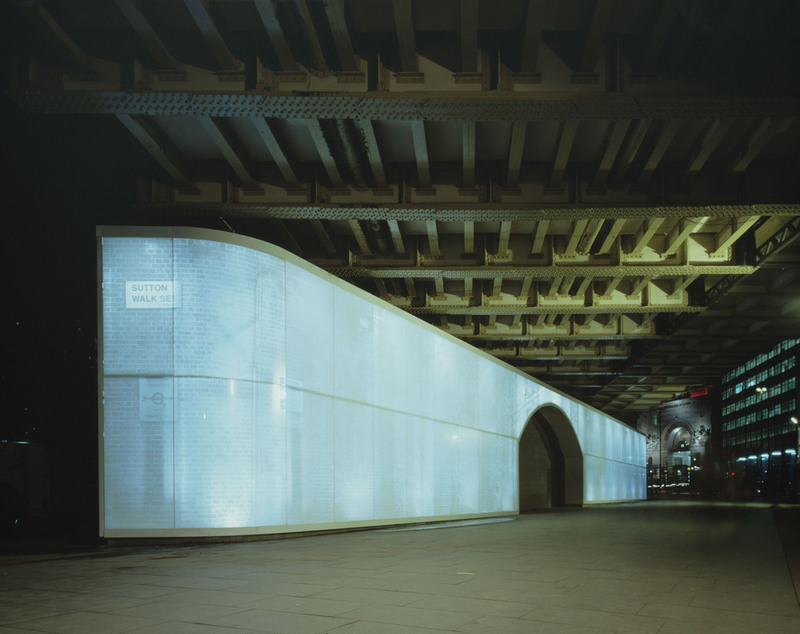 Sutton Walk, designed in collaboration with artist Alberto Duman, is a permanent light installation that captures the memory of the existing viaduct fabric and it's markings. It inverts and illuminates a replica image of the original brick wall that still exists behind the ceramic fritted glass. 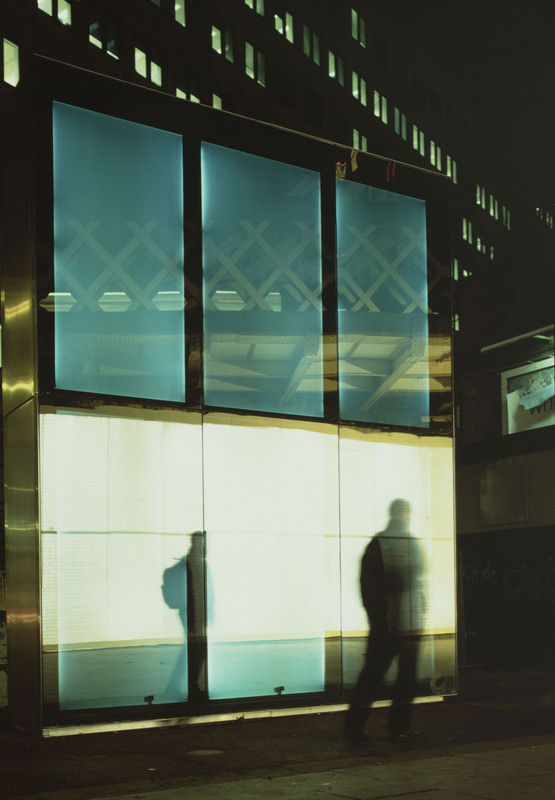 Opposite the wall a mirrored glass monolith reflects passers by until their gaze is lost in a ghost of light.